Japan-based GungHo Online Entertainment (who is best know for the MMO Ragnarok Online) announced today that they have entered into an agreement to acquire Goichi Suda’s studio Grasshopper Manufacture (the developer behind Killer 7, the No More Heroes franchise, and Lollipop Chainsaw). As part of the agreement the studio will not be folded into the parent company, but will instead remain intact with Goichi Suda (Suda 51) at its head and GungHo acting as publisher for the developer’s future titles. This is a similar agreement to how GungHo operates its other acquired studios; Gravity, Game Arts, and Acquire. The acquisition deal will only apply to future Grasshopper Manufacture games, and will not affect any titles that are currently under contract to be published by other companies. This means that the upcoming Killer is Dead will still be published by Kadokawa Games in Japan, and XSEED in North America (assuming that XSEED has locked in a contract to go along with their recent domain registrations). For Suda 51 fans, the best news to come out of this acquisition deal is that GungHo has a North American publishing division called GungHo Online Entertainment America — which is headed up by former Square EA, Square Enix, and XSEED Games executive Jun Iwasaki. This will hopefully give Grasshopper Manufacture an easier path to follow when attempting to get their titles published for Western audiences. TOKYO, JAPAN (January 30, 2013) – GungHo Online Entertainment, Inc. (GOE) today announced it has acquired game development studio GRASSHOPPER MANUFACTURE INC., founded and led by legendary designer Goichi Suda (SUDA51). SUDA51 and his team join GOE and will continue to work as GRASSHOPPER MANUFACTURE, similar to the relationship GOE has with its other leading development studios including GRAVITY, Game Arts, and Acquire. Titles already in development at the studio before the acquisition will not be affected by the deal and will continue under their current publishing terms. GungHo Online Entertainment is an established Japanese publisher of networked multiplatform titles including mobile, and is best noted for its wildly popular Ragnarok Online series as well as the blockbuster iOS/Android game, Puzzle & Dragons, which has seen over 7 million downloads. Since its formation, the company’s vision has been to work closely with its content partners to build, grow, and sustain interactive entertainment properties with a strong online component across PC, browser, mobile, console, and handheld platforms. Its lineup includes MMORPGs such as Ragnarok Online as well as a wide range of console and handheld games including Ragnarok DS, Ragnarok Odyssey and Dokuro. GRASSHOPPER becomes the fourth prominent studio to become part of GOE’s fold, joining Ragnarok developer GRAVITY, Lunar and Grandia creator Game Arts, and Tenchu developer Acquire. GOE titles are published and supported in North America by its US subsidiary, GungHo Online Entertainment America led by Jun Iwasaki. Founded by SUDA51, GRASSHOPPER MANUFACTURE INC. is well known for creating imaginative titles such as killer7, the No More Heroes series and most recently, Lollipop Chainsaw. The developer has released nearly 30 titles internationally and in Japan and has a devoted following among gamers. 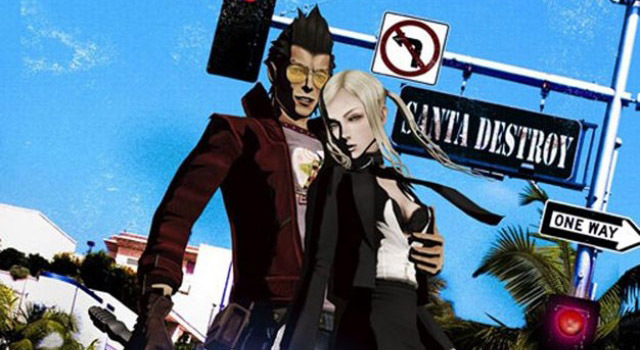 Under SUDA51’s leadership, the studio aspires to create games that challenge the norms with a spark of inspiration akin to the rebellious and artistic spirit of punk rock music. More information on upcoming GRASSHOPPER projects will be revealed in the coming months.